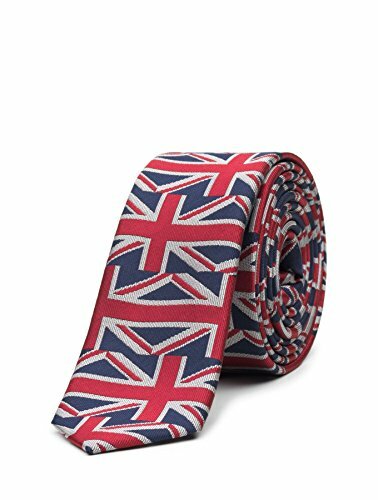 An urban cool accessory, this Paisley of London tie is inspired by the brand's British heritage, with rich tones and asymmetric design for that quirky finish for every young dapper chap. Woven in polyester, the impressive print will make a truly unique addition that will transform any look from formal to fashionable. If you have any questions about this product by Paisley of London, contact us by completing and submitting the form below. If you are looking for a specif part number, please include it with your message.